"Everything is in flames, — the sky with lightning, — the water with luminous particles, and even the very masts are pointed with a blue flame." "About, about, in reel and rout, The death fires danced at night; The water, like a witch's oils, Burnt green and blue and white." 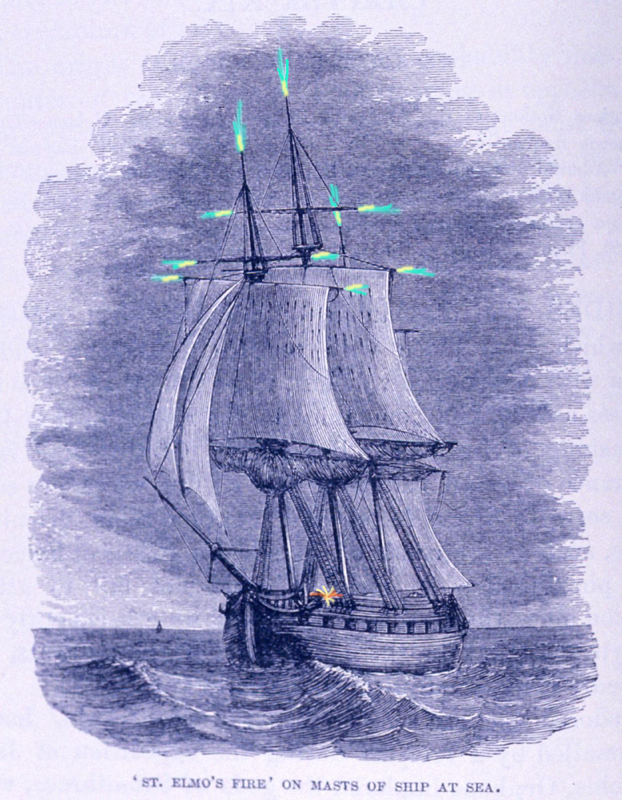 The tale of a blue-white ghostly glow appearing on a dark and stormy night is littered throughout our history and story books. What's remarkable is the uniformity of the account: often during a thunderstorm, an eerie blue flame would appear and disappear on the tips of ship masts and yet would not burn. Thirty-one physics Nobel laureates called for the release of an Iranian scientist jailed for refusing to work on his country's weapons program. 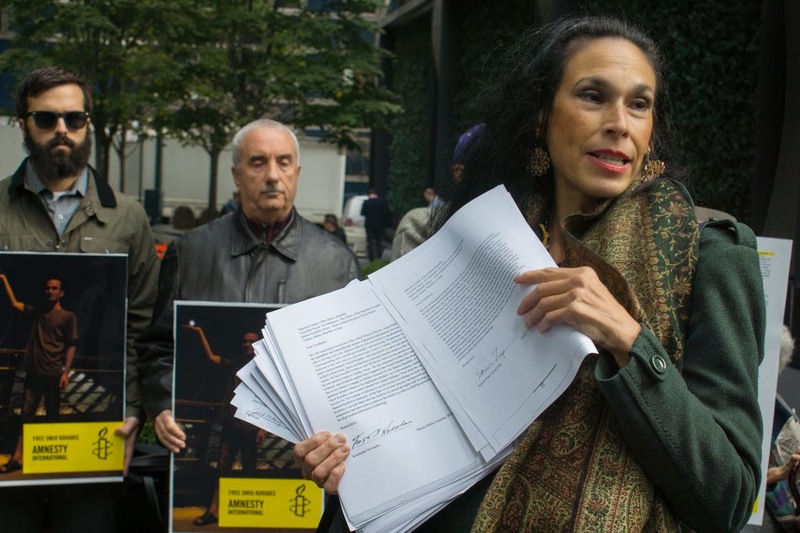 Elise Auerbach of Amnesty International shows off copies of the petition signed by 31 Nobel laureates. For nearly four years, physicist Omid Kokabee has been imprisoned in Iran for a crime he didn't commit. Without seeing the evidence against him or even being allowed to defend himself in court, the Iranian government convicted him of "communicating with a hostile government" and receiving "illegitimate funds" in the form of his student stipend while a graduate student at the University of Texas at Austin. It's that time of year again. The colors of the trees are beautiful and vivid oranges, reds, and purples. But autumn leaves are a nightmare for train operators, affecting anywhere with heavy deciduous tree growth — places like New England, the mid-Atlantic states, and the United Kingdom. In the UK, delays due to leaves are so disruptive that the colloquial phrase of 'leaves on the line' has emerged, often jokingly referred to as a fictional excuse for delays. But the innocuous leaf is in fact no laughing matter. (Inside Science) -- Life in the universe could be much older than previously thought, forming as early as fifteen million years after the Big Bang, according to a provocative new idea proposed by a Harvard astrophysicist. In this scenario for the early universe, rocky planets born from the dregs of massive, primordial stars would have been warmed by the heat of a radiation that permeated all of space, which was much hotter back then than it is now. One of these ancient worlds could have supported liquid water on its surface irrespective of its distance to a star, and thus been habitable to primitive forms of Earth-like organisms, said Avi Loeb, who chairs the Harvard astronomy department. With the discovery of exoplanets, Loeb said, scientists are beginning to seriously consider that life-as-we-know-it exists in other places. "What I’m saying here is that it can also be extended to other, earlier, times," he said. A new paper suggests that planets from the remnants of the universe's earliest stars could have supported life on dim, warm planets. Is the universe infinite? Or is it confined to a finite amount of space? Is it shaped like a donut, or does it stretch on forever as an infinite plane? A lot of people wonder about these questions, and a few people are actually trying to answer them. Like astrophysicist and cosmologist David Spergel of Princeton University. He and his colleagues are looking for clues about the shape of the universe, because they think it could help them determine if the universe is finite or...something else. Listen to this week's podcast to hear Spergel talk about why even some cosmologists find "infinity" to be a tricky concept, and what they're doing right now to try and find the end of the universe. Halloween is only 10 days away and maybe you need a cool (and easy) costume. 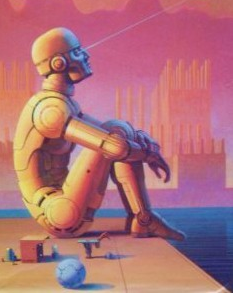 Because you're reading this, I'm guessing you have more than a casual interest in science. To celebrate this awesome love, here are 10 very nerdy science costumes. In the wake of the Nobel Prize announcements earlier this month, we found this great infographic from our friends at Inside Science detailing the demographics of Nobel Prize winners. Winners for the prizes in physics, chemistry, and medicine were included for the infographic. Now that the 2014 Nobel Prizes are done, it's time to start looking forward to next year. Why so soon? 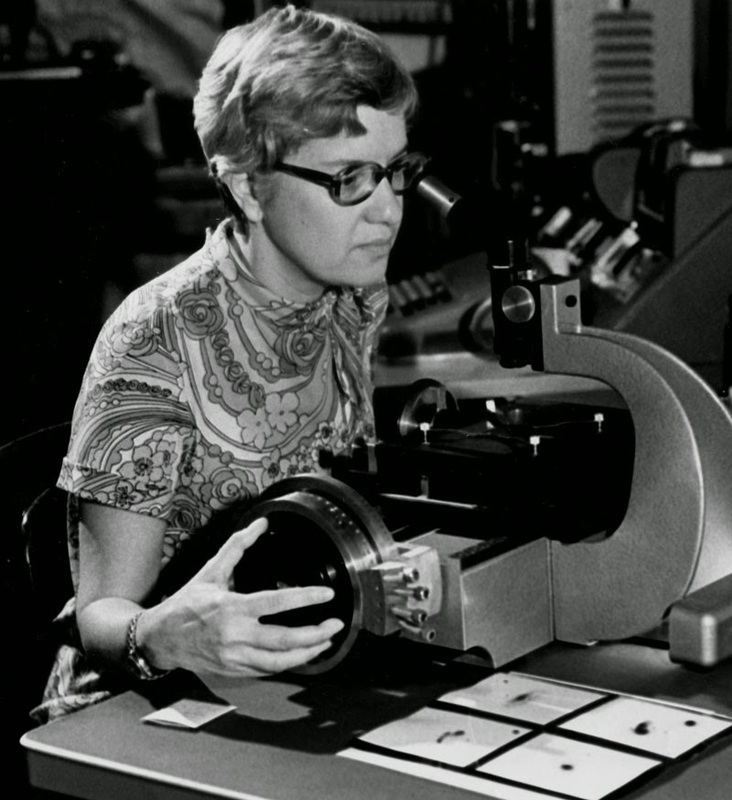 Because I'm hoping that we can start a grassroots campaign to help Vera Rubin win the physics Nobel in 2015. The nominating process for 2015 began in September and ends in February 2015. So the time to make some noise is now! Please like the Facebook page lobbying for Vera Rubin's prize next year. In case you haven't heard of Rubin, she made the first compelling discovery that implies the existence of dark matter. The identity of dark matter is one of the most important questions in modern physics. But thanks to Rubin, we know it's there, and that there's way more of it in the universe than there is of the regular matter we're made of: less than 5% of the mass in the universe made up of regular matter, but more than a quarter of it is dark matter. A comet on express delivery from the Oort cloud of rock and ice that surrounds our Solar System makes a close approach of Mars this weekend. 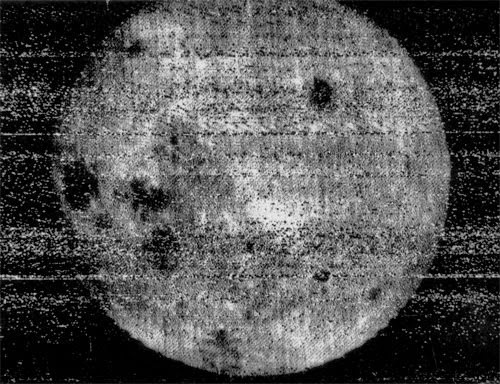 Martian satellites are already hunkering down against the potential onslaught of debris. On Sunday October 19th, comet C/2013 A1, familiarly known as comet Siding Spring, will fly within 87,000 miles of the Martian surface and NASA is determined not to miss the show. Check out their slick animation of how the close encounter will go down. The closest approach distance is tiny on astronomical scales — roughly equal to 1/3 the distance between us and the Moon. For this week's podcast, we've dug up an old podcast that we published last year (originally published July 24, 2013). For those that missed it, the podcast covered the physics behind a world like Westeros: the setting for the hit HBO show Game of Thrones. Westeros has highly variable seasons that come at differing times, most notably the impending winter (it's coming!). We spoke with an astrophysicist to see if there could be exoplanets that exhibit similar seasons to this fictional world. Enjoy! If you had no arms and no legs, just how would you propose to climb up a hill? Slither straight up like a snake? Ah, but what if the hill were made of sand? Physicists have unlocked the mystery by studying the mesmerizing motion of sidewinder rattlesnakes on sandy inclines and successfully mimicking this motion in a robot snake nicknamed 'Elizabeth'. 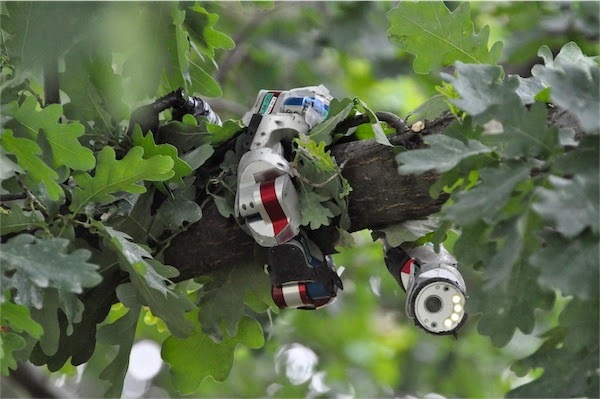 The robot snake developed by researchers at Carnegie Mellon University climbs a tree. With modifications inspired by the wave motion in sidewinder snakes, this robot is now able to navigate sloping sand as well. Credit: Carnegie Mellon University. Courtesy of John Toon. You may have caught a glance of yesterday's Nobel Prize in chemistry — the science community was awash with the news. Three scientists won the award for pushing the limits of microscope resolution far beyond what was ever thought possible. But you may not know that one of the winners, American physicist Eric Betzig, has continued to push the boundaries of biological imaging by incorporating elements from astronomy. This week on the Physics Central Podcast, I'm talking with science writer Simon Singh, about his latest book, The Simpsons and Their Mathematical Secrets. In it, Singh reveals that one of America's favorite cartoon families has been infiltrated by mathematics for the last 25 years. From the very start of the show in the late 80's, multiple members of The Simpsons writing staff have held advanced degrees in math, science and engineering. Listen to the podcast to hear how one of the writers for The Simpsons wrote a computer program to find near-miss solutions to Fermat's Last Theorem, and planted it in the background of an episode. Or how the writing staff contacted a pi expert at NASA, in order to learn the 40,000th digit of everyone's favorite constant (the answer also appeared in an episode of the show). And while many people are surprised to learn about the presence of mathematics and The Simpsons, there are fans who have been aware of the connection for years. The 2014 Nobel Prize in chemistry has been awarded to an American neuroscientist, a German biochemist and an American chemist "for the development of super-resolved fluorescence microscopy." William Moerner (Stanford), Stefan Hell (Max Planck Institute) and Eric Betzig (Howard Hughes Medical Institute) have won the 2014 Nobel Prize in Chemistry for “for the development of super-resolved fluorescence microscopy”. Wow, physicists win the Chemistry Nobel Prize again! The last time this happened was scant 3 years ago when Dan Shechtman won the 2011 Chemistry Nobel for his discovery of quasicrystals. Including the three physicists who won the Physics Prize yesterday, that's six physicists who have become Laureates this year. And (not to rub it in) zero chemists. Don't worry chemists, you have a few more chances - provided a chemist picks up the Literature Nobel tomorrow, a Peace Prize Friday, or the Economics Prize on Monday. Good luck! Rise and shine early tomorrow morning to catch the last total lunar eclipse of 2014. The Moon will be visible from nearly all of North America as it passes through the shadow of the Earth and 'blushes' red in the early hours of October 8th. Viewers in the western United States and Canada will be able to witness all 59 minutes of eclipse totality, when the moon is fully-contained within the shadow of the Earth. On the eastern side of North America, the partial and total eclipse phases will be visible just as the Moon is setting in the west tomorrow morning, starting at 5:15AM Eastern Time, according to NASA. If someone asked you what the galaxy looks like from afar, you might tell them it’s a spiral. You’d be half-right. If you thought to include dark matter in your answer, you might say that it’s a disk or a cloud, but you still wouldn’t get full credit. 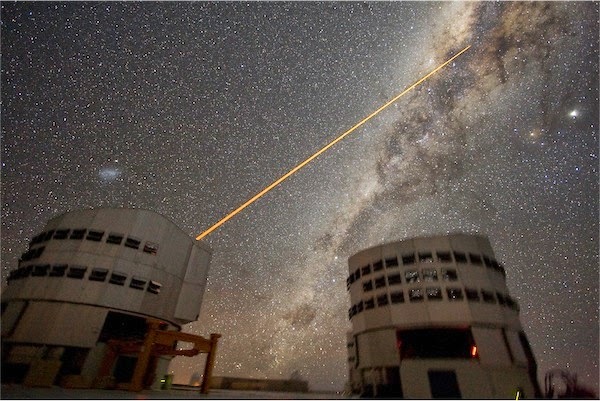 Don’t feel bad, though—there’s more to the Milky Way’s structure than meets the eye, and much of it was completely impossible for us to see up until very recently. 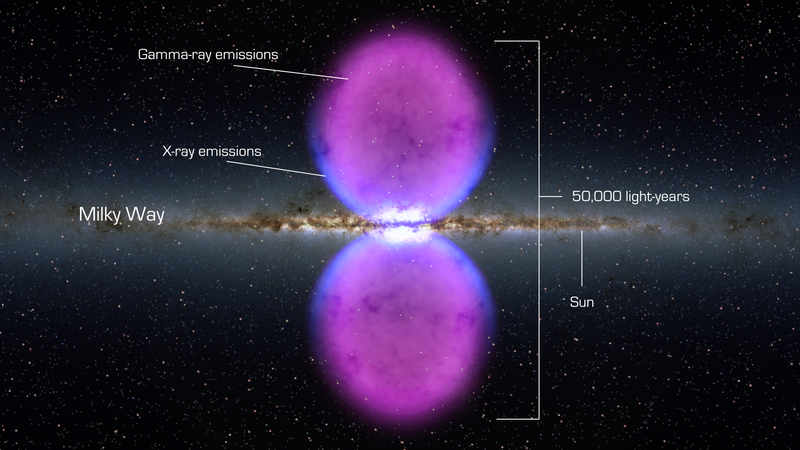 When data from the Fermi Gamma-ray Space Telescope, launched in 2008, was analyzed, researchers were startled by an unexpected feature: two tremendous, bubble-like clouds of plasma stretching perpendicular to the galactic plane, which seem to originate in the vicinity of the supermassive black hole at the galaxy’s nucleus. The gamma rays shimmering from these bubbles tell us that the particles in them are extremely energetic, and explain why we hadn't seen them until so recently; the earth’s atmosphere filters out most of the light they cast. Their origin, however, remains mysterious. School has started and Halloween's just around the corner: that mean's it's time for our September news podcast! First up: do you know how old your water is? New research shows that some of the water on Earth predates the birth of the sun (paper here; story in Nature News here). Second story: researchers have detected the faint signal from neutrinos born in the heart of the sun (paper here; story in Scientific American here). And finally, a spintronic flashlight (paper here; story in Physics World here) demonstrates new possibilities for future electronics. Listen to the podcast to learn more!